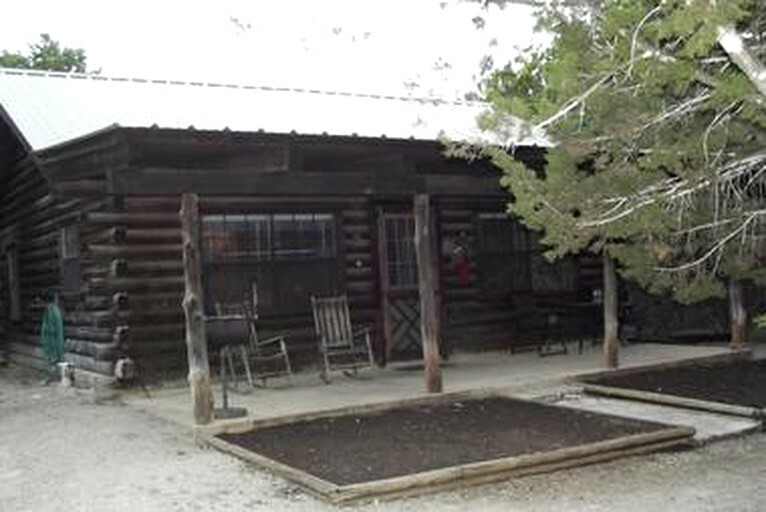 This cozy cabin rental near Garner State Park is located in Bandera, Texas, and can accommodate seven guests. There is one bedroom with a comfortable double bed and a single bed in the communal area. Linens are provided. In the living room, guests will find a heater, a table, and chairs. The fully-equipped kitchen comes with a refrigerator, a freezer, a microwave, a stove, and an oven. 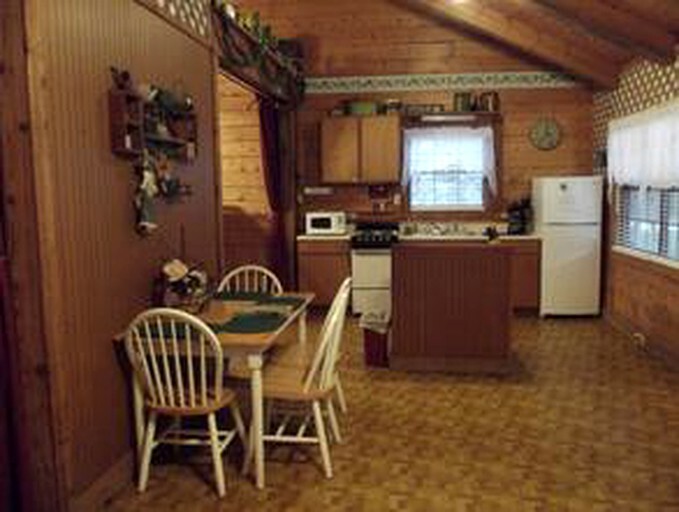 Guests will have everything they need to cook up a delicious meal in their cozy cabin. This property has ceiling fans. Guests will also have access to a fire pit and barbecue. 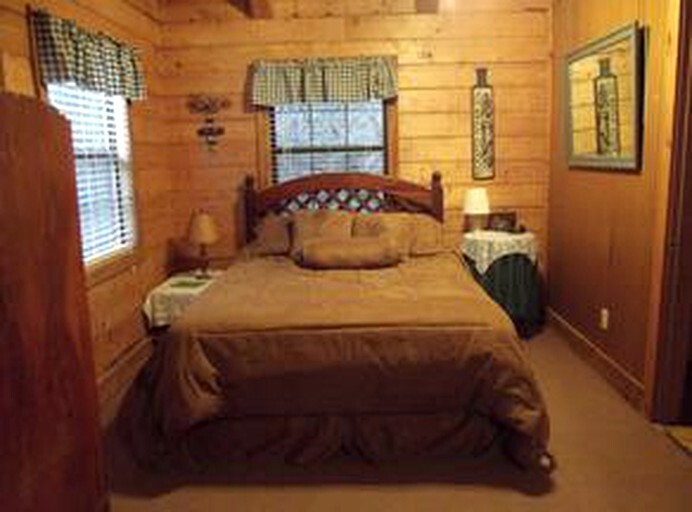 Guests can relax around the two live springs surrounding this property. The sound of running water will be sure to create an atmosphere of tranquility. Glampers can also take time to reconnect with nature and explore the great outdoors by wandering through this property's spacious 25 acres. Guests can travel to Lost Maples State Park to enjoy awe-inspiring views. This park has stunning views during the day and wonderful stargazing opportunities during the evenings. This spot will be perfect for budding photographers at any time of day. 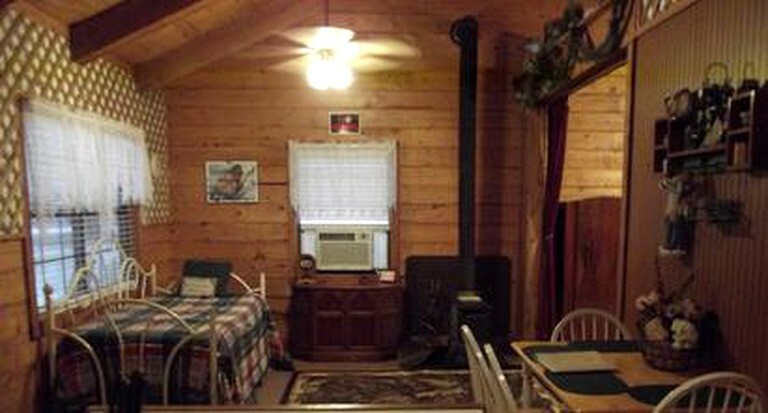 Glampers can also enjoy catch and release fishing in the property's river, which is stocked with bluegill and catfish. This property is pet-friendly and non-smoking. Glampers should kindly note pets must be kept on a leash. Those under 13 years of age may stay free of charge. There is a one-night minimum stay during the week and a two-night minimum stay over weekends. There is a three-night minimum stay over major holiday periods. Guests should note that fires are only permitted in the fire pits and barbecue pits. Guests must also adhere to the burn bans.